Why Should I Hire a Cycling Accident Lawyer? A recent client of Jim Dodson Law stated that he felt it was the best decision to hire a cycling accident lawyer because they see the world through my eyes. A well-known 61 year old lawyer was killed in a cycling crash in Ft. Myers recently. The death of anyone in an accident is an immense tragedy. The fact he was a lawyer who died while riding hit especially close to home for me. Press reports of an accident rarely give enough information to reconstruct who was responsible. The news reports of his death said the investigating officers had apparently decided the cyclist was at fault by riding into the path of the vehicle involved. A representative of his law firm was quoted as saying they had hired an accident investigator immediately to do an independent investigation of what happened. This brings up a very important point about police investigations and who they consider to be “at fault” in a bicycle crash. 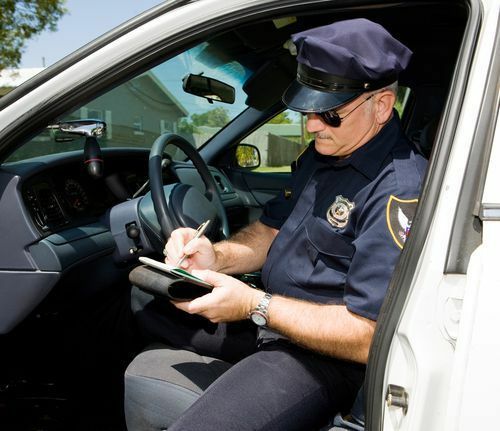 Police officers approach accident investigations from a law enforcement point of view. Did the driver or the cyclist break the law or commit some type of traffic infraction such as failure to yield the right of way, careless driving or speeding, for example. They want to know who looked to them to be the one who was mostly at fault. They are not lawyers and they do not look at an accident scene from a lawyer’s point of view. Some accidents are clearly caused by one party. A tragic example is when a cyclist is run down from behind in a bike lane by a texting driver. Lawyers do not just look at who committed a traffic violation; they look carefully for evidence of who contributed to causing the crash. In many crashes, even those where the police have cited the cyclist for something, there is proof the driver was partly, or even largely, to blame. Proof of any fault on the driver changes everything in a cycling collision in terms of the rider having a civil case against the driver. Looking at every argument that the driver had responsibility or could have avoided the accident separates a lawyer’s view of an accident, from the view of a police officer. Not only do the police look at an accident differently, many times their conclusions are just wrong. You might be wondering how that could happen? There are a number of reasons. Let’s face it; just like each of us, police officers can make mistakes. Some don’t have enough training or experience. Some are simply better or worse than others at their job. Many times they have limited time to finish their investigation, or they don’t take the time needed to interview witnesses carefully or interview all available witnesses. Sometimes when they roll up to an accident scene they make assumptions about what happened before talking to anyone. Some have a bias or prejudice against cyclists. All of these contribute to the police making mistakes in doing their crash reports. I’m not suggesting the police got it wrong in this case. No one could make that decision from press reports. But I learned long ago not to take a police report at face value. If you’ve been involved in a crash and the police said you were to blame, neither should you. Always have your case reviewed by a lawyer who has experience in handling cycling crashes.